Today St. Louis suffers, but breathes a sigh of relief. Last night a storm moving through the area spawned high winds, hail, and one or (possibly) more tornadoes that destroyed dozens of homes and hit the main terminal building of Lambert-St. Louis International Airport, badly damaging the roof, and scattering glass throughout the structure. As of this morning, the airport remains closed indefinitely, with officials saying it will take days to put the facilities to rights. Miraculously, though several people were injured, no one was killed. Sounds trite, but it could have been worse. Across the nation, the catastrophe is but the most recent of this spring. Recall that the United States is really the tornado capital of the world; only 10% of tornadoes occur anywhere else around the globe, and they’re the weaker ones. And this year, tornadoes have been in our news for weeks. Tornadoes present a unique challenge to the public – that would be the some 200 million of us who live in harm’s way – to policymakers, and to hazards managers. Think about it. The strongest tornadoes pack winds approaching 300 miles per hour. That’s twice the wind speed that you see in the category-5 hurricanes. And the force goes as the square of the wind speed, meaning the greatest tornadic winds pack four times the wallop. In principle, we could design structures that would survive such power. 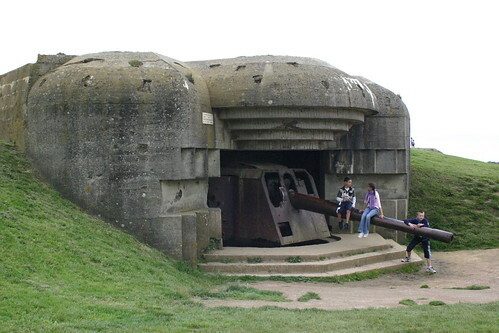 In fact, armies did, in World War, to protect gun emplacements from artillery shells. They called them pillboxes. Much of the structure lay below grade. Any view was afforded through narrow slits. Glass? You’ve got to be kidding. If tornadoes were ubiquitous, and present all the time, and if despite such continuous violence, the human race had developed to its present point, we would live this way. But each year’s tornado tracks cover only a small area. [Brace yourself, a bit of arithmetic coming up!] Sticking to round numbers, let’s say we have 1000 tornadoes a year here. Let’s go a little further, and figure that for each one, there’s a swath of damage maybe ¼ mile wide, but 4 miles long. This is probably an over-estimate for the smaller, more common ones; but an underestimate for the bigger ones. So that’s one square mile of damage for each tornado. For the whole year? Maybe 1000 square miles of damage. Picture that as a square roughly 30 miles on a side…and now compare that with the damage swath for a single hurricane, making landfall. There an area maybe 30-50 miles wide, maybe much more, is affected, and the storm penetrates many miles inland. So the area likely to be damaged by all the tornadoes of a single year might be comparable to the area of property loss affected by a single hurricane. Now meteorologists are no different from your doctor or your stock broker. We all say, “Past performance is no guarantee of future performance. Actual results may vary.” But you get the general idea. Now let’s compare the 1000 square miles damaged each year, first with the 2 million square miles of U.S. land in tornado-risk areas. Any particular point (a home, or a building)? Maybe only one in 2000 is hit in any given year. That means (pointy-headed statistical alert) that your house has a 50-50 chance of being hit over a 1300-year period. And even if my back-of-the-envelope calculation is off by, say, a factor of four (quite likely, by the way), the risk of the tornado hitting your actual house might be as low as say once in 300 or so years. Seems like a long time, maybe. And that’s why we really don’t design homes, even in tornado-prone areas, to survive a direct tornado hit. However, in Oklahoma, the odds of being hit are higher. And people in Oklahoma know this. What to do? One strategy? Tornado shelters, below ground, outside the home (remember Dorothy and the Wizard of Oz?). They look rather like those World War II pillboxes. Of course, it’s not that easy to install them properly in clay soils, and when unused, they become habitat for insects and snakes, etc. Some prefer a suggestion put forth by Ernst Kiesling, who proposed houses be constructed with an reinforced interior safe room. Now let’s think about urban areas, versus individual homes. In the United States, about 2% of the land area is today considered urban. But this percentage has been growing at a rate of about 10% per decade – maybe doubling since the end of World War II. So back then, if one percent of the land was urban, maybe we could expect 10 tornadoes a year on average to hit heavily populated areas. But going forward, we can expect that figure to be 20 tornadoes or so. And, as we continue to concentrate our population, the chances for a truly catastrophic tornado event inexorably mount. In a word: tornadoes hitting downtown areas in the past? Rare – almost unheard of. But tornadoes hitting downtown areas in the future? Increasingly common. It’s time to start planning and building awareness of such risks, and developing plans. Evacuating urban buildings? Problematic. Opportunities to shelter-in-place? Minimal. To work through a strategy providing for safety in the face of this threat will require the best minds in both the private and public sector. And it ought to start now. A final note on airports. These by themselves are an even small fraction of the national real estate than the urban areas in which they’re embedded, right? But on May 5th 1995 a line of thunderstorms producing softball-sized hail went over Dallas-Fort Worth Airport at a time when American Airlines was conducting a hub operation. The hail caught ten percent of American’s entire fleet on the ground. All those planes were grounded for several days while they were inspected. Some required considerable maintenance and were idled for a longer period. Just sixteen years later, another airport has been hit. An example – only one – of our increasing vulnerability to small-scale, violent weather. Anyway, with our urbanized populations and critical infrastructure, we’re playing “Battleship” with the Earth on which we live. Only in this Real World, it’s always Earth’s turn.